Ceylon Dimbula is grown on the western side of the island, sitting at between 3,500 and 5,000 feet above sea level. 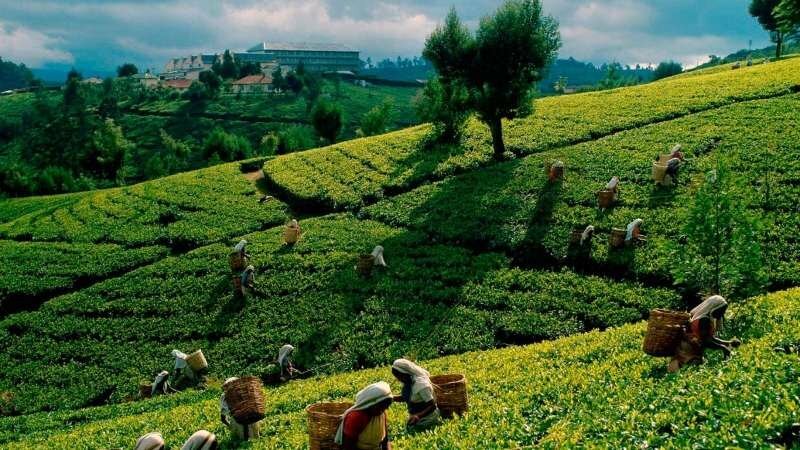 It is internationally recognized for the quality of its teas during January through March when the air is crisp and cool by day and windy at night. This provides a medium-bodied cup with fruity notes that provide the backbone to a lot of black tea blends, such as Lord Bergamot and Kandy. If you look toward the southeastern part of Sri Lanka, you find Uva Province, the second least populated portion of the island. 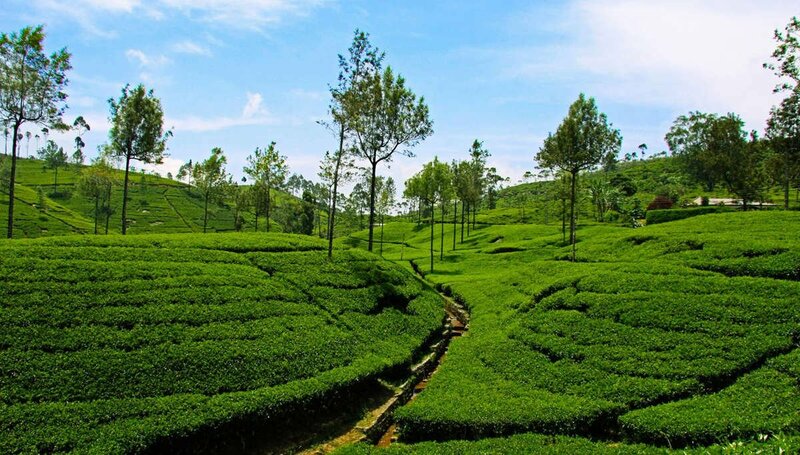 Its abundance of sweeping tea gardens and breathtaking views give it a rugged, untouched appeal. 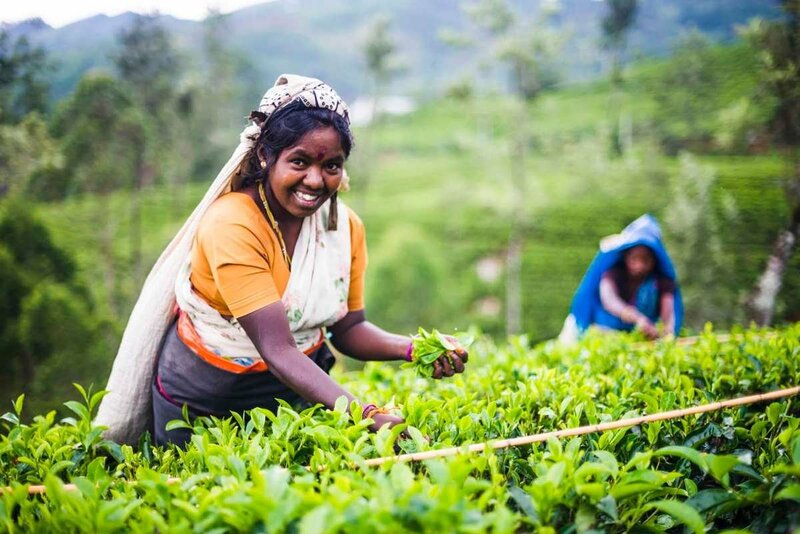 During the months of July through September, our Tea Department sources Ceylon Uva. Uvas are astringent, intensely floral and intentionally sharp in flavor with a golden cup color. They add “bite” and freshness to blends and are exciting to try on their own for those who like a brisk cup of tea. Ceylon Dimbula harvest is currently underway, and we have been busy this past week making selections for 2019, which were overnighted from our growing partners, so we can taste at peak freshness. Currently in the tea lab, we’re cupping up samples that will serve as self-drinkers and also provide the center from which we will build our favorite black teas. When the Western season is over, we will have tasted between 75 to 90 different Ceylon Dimbulas. is as quick as two weeks. Usually from selection to auction is just a few days. We’re excited to share with you the Ceylons our Tea Department has picked in the upcoming months but in the meantime, explore our 2018 Ceylon Dimbula and Ceylon Uva while you still can. Or try them in blends like Kandy and Lord Bergamot.